Mobile Techs provides expert, same day on-site computer repairs, upgrades and troubleshooting Australia Wide. With over 8 years industry experience we have the solution for you! Mobile Techs provides on-site training, we will show you easy steps to keep your computer running like new. 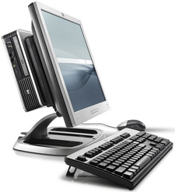 We also offer Fixed Price services including New Computer setup, Home Networking including wireless and VoIP configuration. Use the quick links located at the top of this page for further information. * Rates displayed here are not valid for area's past Helensvale (North) or past Burleigh (South). On-Site support rates for customers outside these area's incur an additional $20/Hour charge. 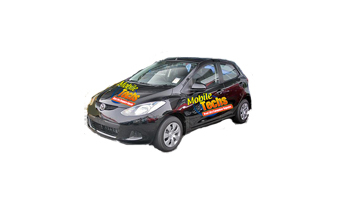 Mobile Techs will advise the per hour rate at the time of booking. We currently service the following areas: Arundel, Ashmore, Bannockburn, Beenleigh, Benowa, Bethania Waters, Biggera Waters, Bilinga, Broadbeach, Broadbeach Waters, Broadwater, Bundall, Burleigh Heads, Burleigh Waters, Carrara, Cedar Creek, Clear Island Waters, Coolangatta, Coombabah, Coomera, Currumbin, Currumbin Valley, Currumbin Waters, Eagleby, Edens Landing, Elanora, Ernest, Gold Coast, Guanaba, Helensvale, Hollywell, Holmview, Hope Island, Labrador, Main Beach, Mermaid Beach, Mermaid Waters, Merrimac, Miami, Molendinar, Mt Warren Park, Mudgeeraba, Nerang, Oxenford, Palm Beach, Paradise Point, Parkwood, Robina, Runaway Bay, Southport, Stephens, Surfers Paradise, Tallai, Tugun, Waterford, Windaroo, Worongary, Jacobs Ridge, Highland Reserve, Pacific Pines, Riverstone, Park Springs, Coomera Springs. Your area not listed here? We may have missed it... please contact our office on 1300 644 588 for confirmation.